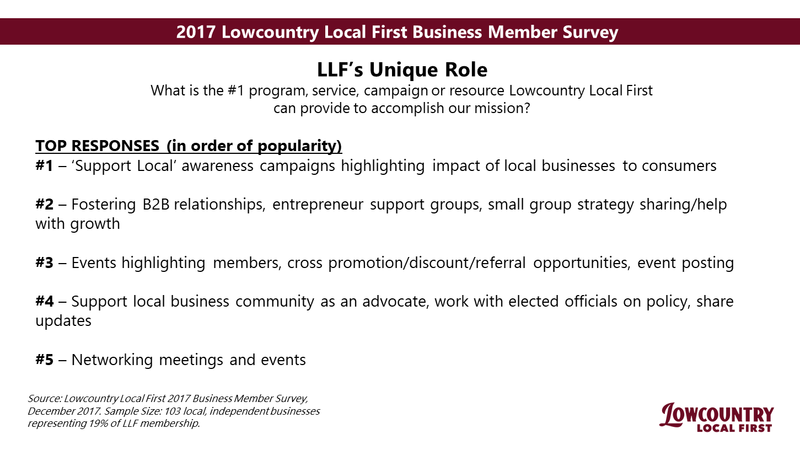 At Lowcountry Local First, we believe ownership matters and relationships matter. 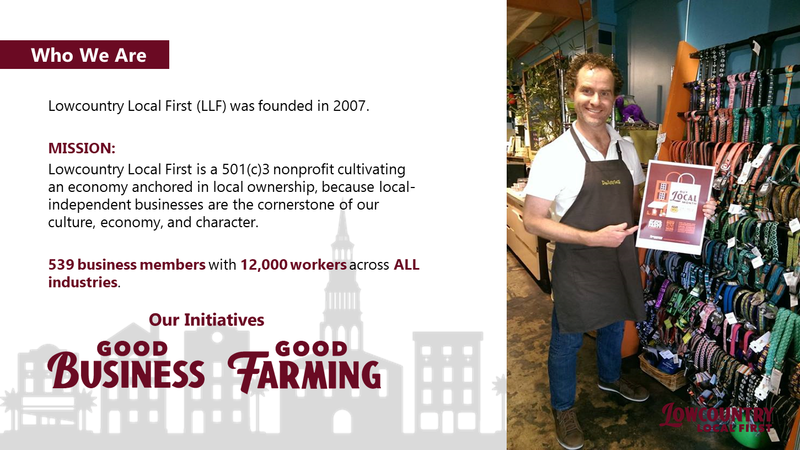 That’s why we work with businesses, community members, and policymakers to build support for local, independent businesses. 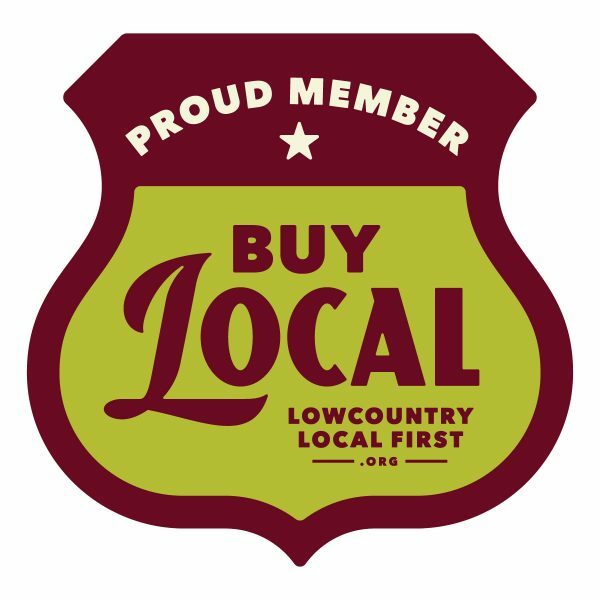 We make sure you know which businesses are Certified Local and meet our criteria for a local-independent business through our Local Business Directory, and through the hundreds of homegrown businesses that display our member badge in their storefronts, advertisements, websites, and more. 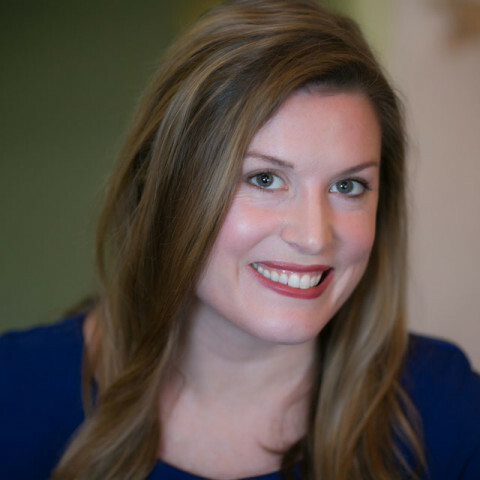 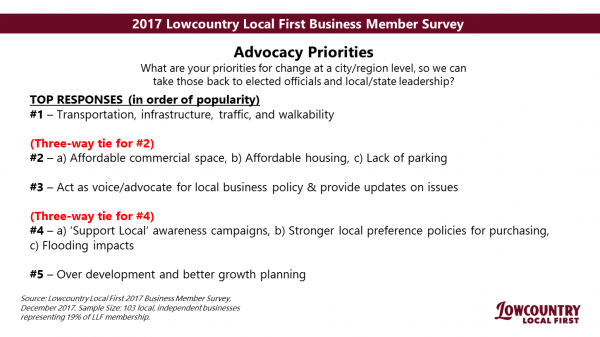 Finally, Lowcountry Local First believes in leveling the playing field through a new approach to economic development. 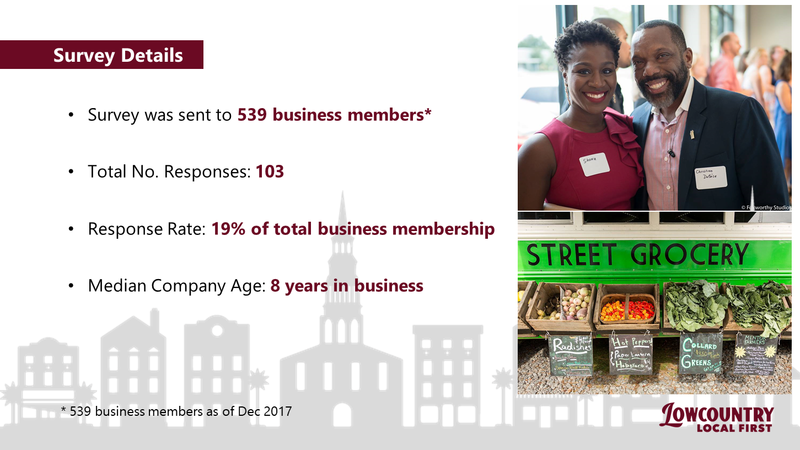 To fulfill our mission, we must keep a pulse on the local business community we serve – to know the painpoints and the victories. Here are the survey results from Lowcountry Local First’s 2017 Annual Member Survey. 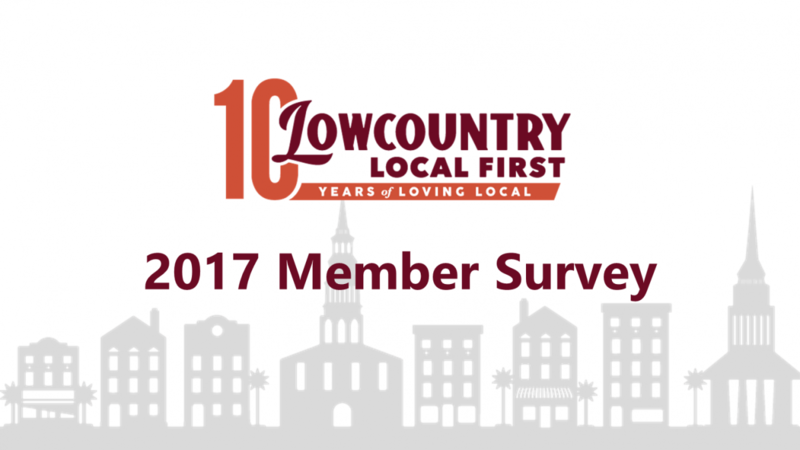 Size of Membership: The Lowcountry Local First membership base includes 539 local-independent businesses from across a diverse array of industries and representing 12,000 workers, as well as 100 ‘Localists’ – community members who support the movement through membership. View our Local Business Directory to get a taste of these One-of-a-Kind businesses. Age of Business: The median company age is 8 years old. 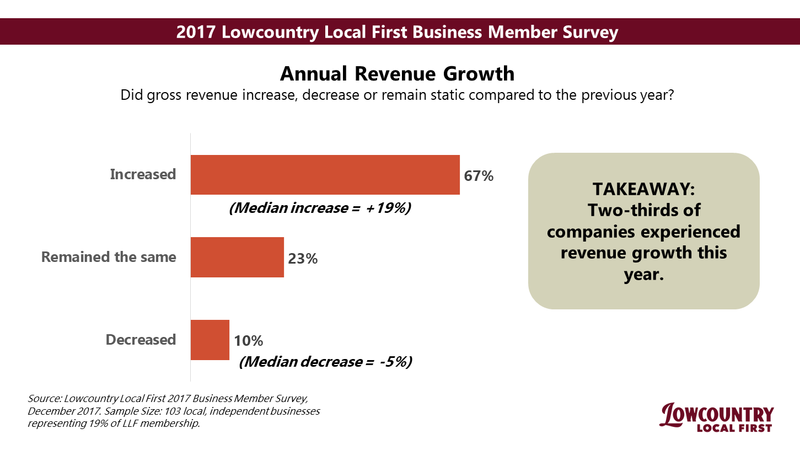 Gross Annual Revenue: Two thirds of companies experienced revenue growth in 2017. Rate of Revenue Growth: Of those companies with revenue growth, the median increase was 19%. 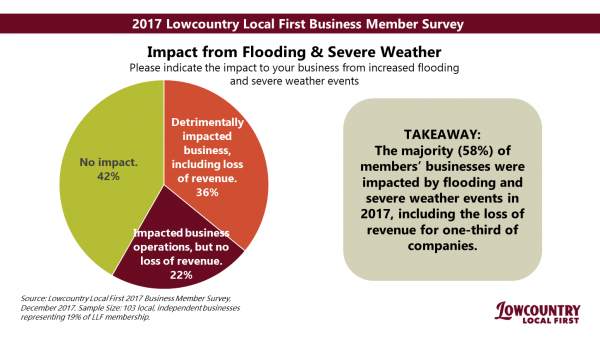 On the side of revenue decrease, the median decrease in gross annual revenue was -5%. 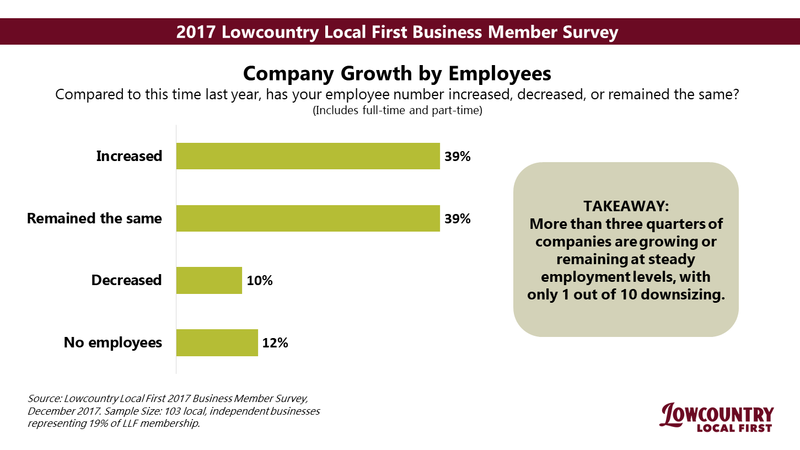 Employee Growth: More than three quarters of companies are growing or remaining at steady employment levels, with only 1 out of 10 downsizing. 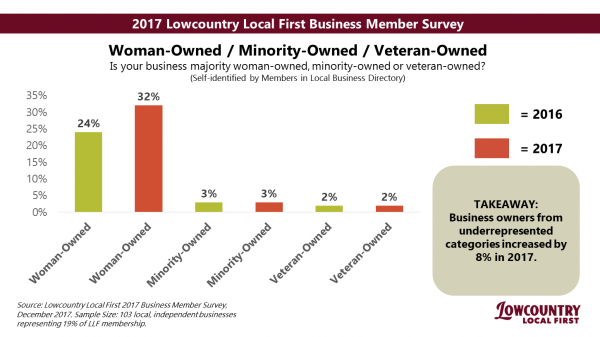 Businesses in Underrepresented Categories: The number of women-owned, minority-owned and veteran-owned member businesses grew by 8% in 2017. 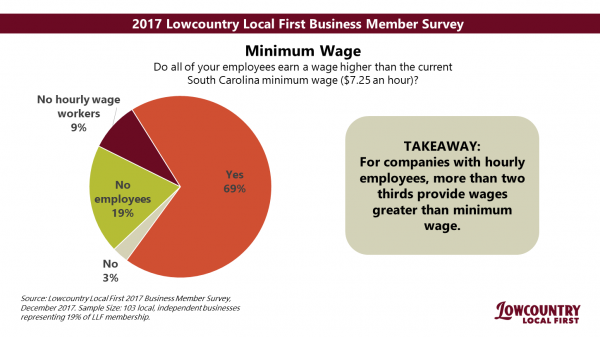 Minimum Wage: For companies with hourly employees, more than two-thirds provide wages greater than minimum wage ($7.25 per hour in South Carolina). 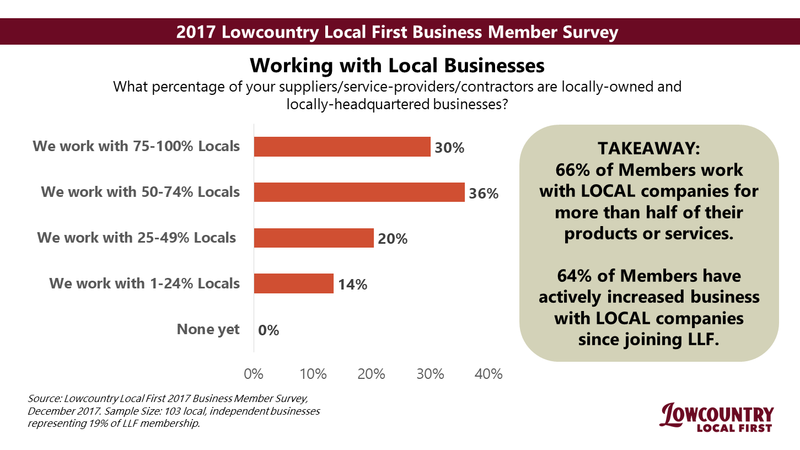 Working with Local Businesses: 66% of members work with LOCAL companies for more than half f their products or services. 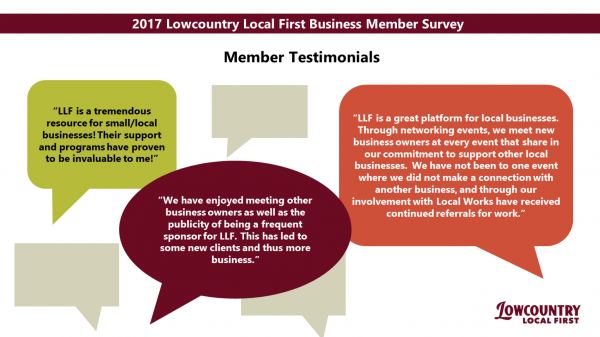 64% of members have actively increased business with LOCAL companies since joining LLF. Flooding and Severe Weather: The majority (58%) of members’ businesses were impacted by flooding and severe weather events in 2017, including the loss of revenue for one-third of companies. 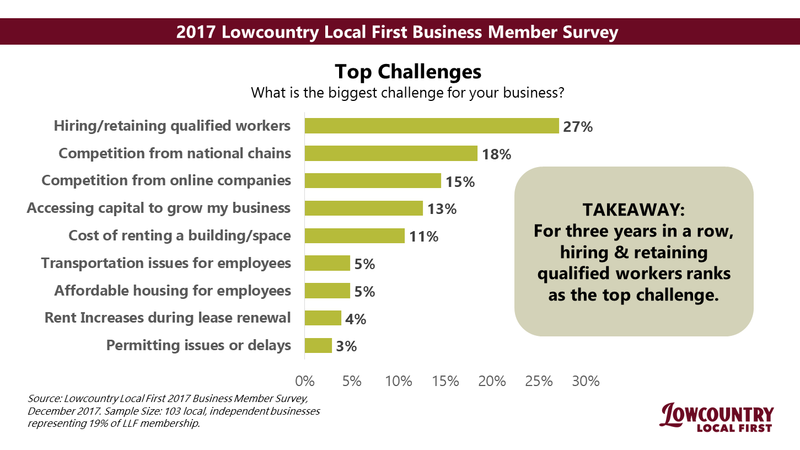 Top Challenges: Hiring and retaining qualified workers ranks as the top challenge faced by our members. 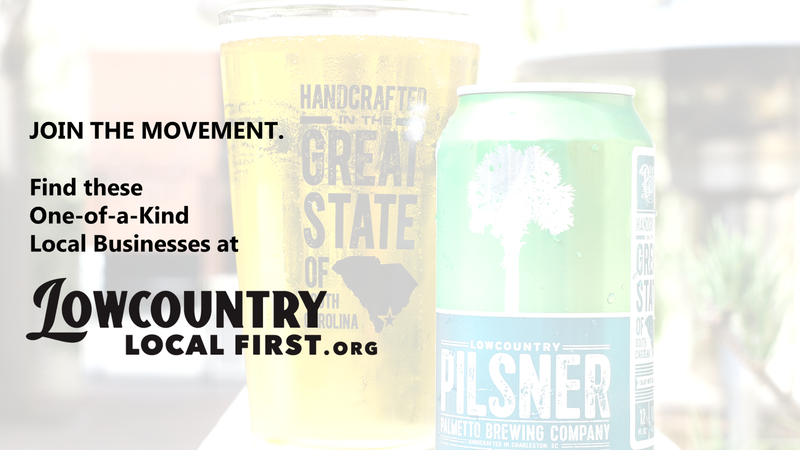 The same challenge topped the list in 2015 and 2016. Competition from national chains and competition from online companies ranked 2nd and 3rd. Advocacy Priorities: Transportation, infrastructure, traffic and walkability top the list for change needed at a city/regional level. 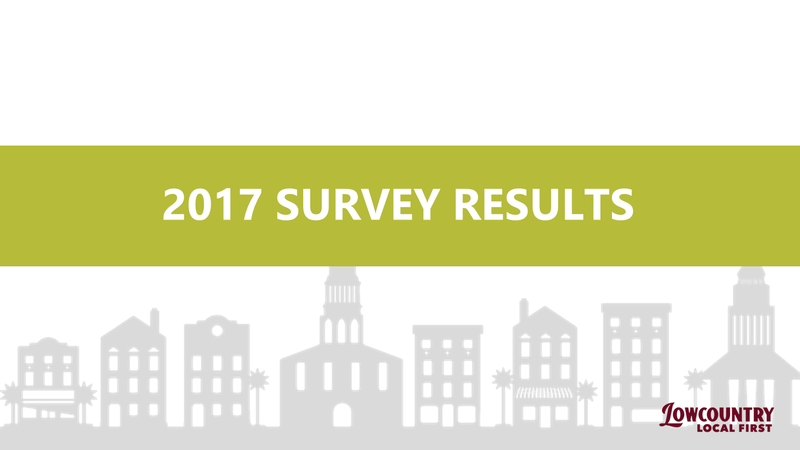 Tied for #2 are: affordable commercial space; affordable housing; and lack of parking. 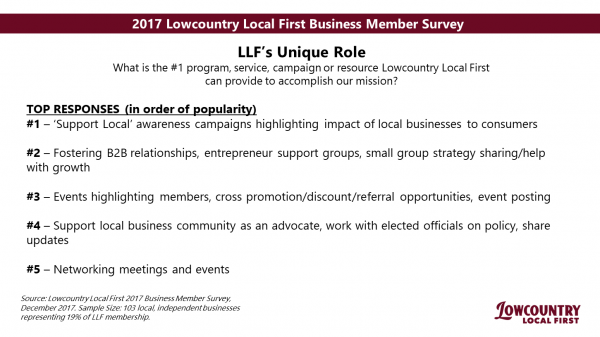 Programs and Resources: ‘Support Local’ awareness campaigns to consumers highlighting the impact of local businesses top the list for the #1 way LLF can achieve our mission. The second most popular response was fostering B2B relationships and entrepreneur support groups.